I’m always saying that the best way to explore Norway is by car, and that especially applies to Lofoten – in fact when I started planning my first trip to Lofoten, Lisa, Teru, Marti, and I were thinking of only renting a car in Lofoten for a few days of our week there and my Norwegian friends just silently shook their heads at me. You see, as in a lot of remote places in Norway public transport on Lofoten isn’t great, and I think it would have been fairly frustrating not to be able to explore all the far corners of these gorgeous islands. And since we were visiting in March, hitchhiking wasn’t really a great option – at least I know I’m not a fan of waiting for rides in blizzards. So a Lofoten road trip it was! I’ve been wanting to visit Lofoten since I first read about it as a teenager, and guys, if you’re wondering if the Lofoten Islands live up to all the hype they’ve been receiving over the past few years (thank you, social media) all I can say is that my 10+ year wait to see them was totally worth it. In fact, since my first visit I’ve now returned to Lofoten in June, December, and January – maybe one day I’ll have seen Lofoten in every month! 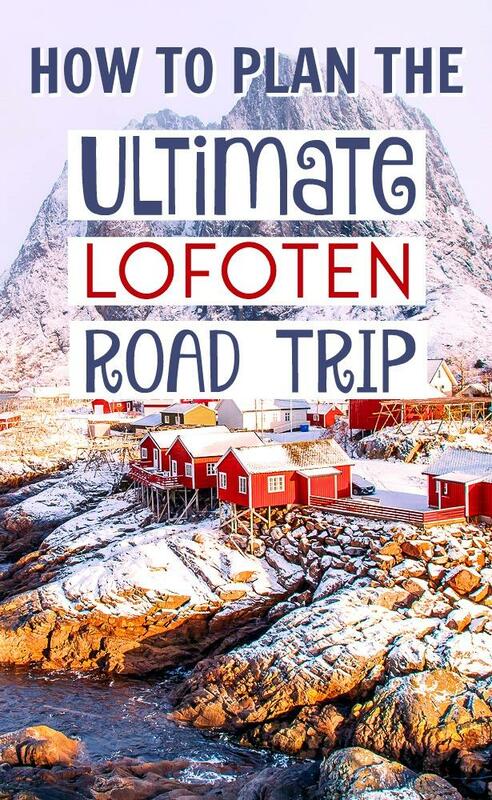 Oh that’s right, you can’t do an epic Lofoten road trip if you don’t have a car! Seeing as the four of us were all flying into Bodø and planning to get the ferry across to Lofoten, we decided to rent a car at the airport in Bodø. We rented from Sixt, and as tends to be the case with car rentals, you’ll get a better deal the further in advance you book. If you do choose to get your car in Bodø don’t worry, you can totally take it on the ferry – it will just cost extra. The ferry from Bodø to Moskenes takes between 3 and 4 hours. Our journey there was on the longer side and made me quite queasy (consider bringing medicine with you if you get seasick!) but the journey back was totally fine. 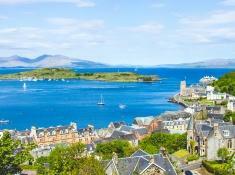 The ferry timetable varies based on the time of year, but you can check the current times and prices here. I wanted to see Lofoten covered in snow, but I also wanted to, well, see it, and December, January, and early February in Lofoten there’s a lot less daylight. 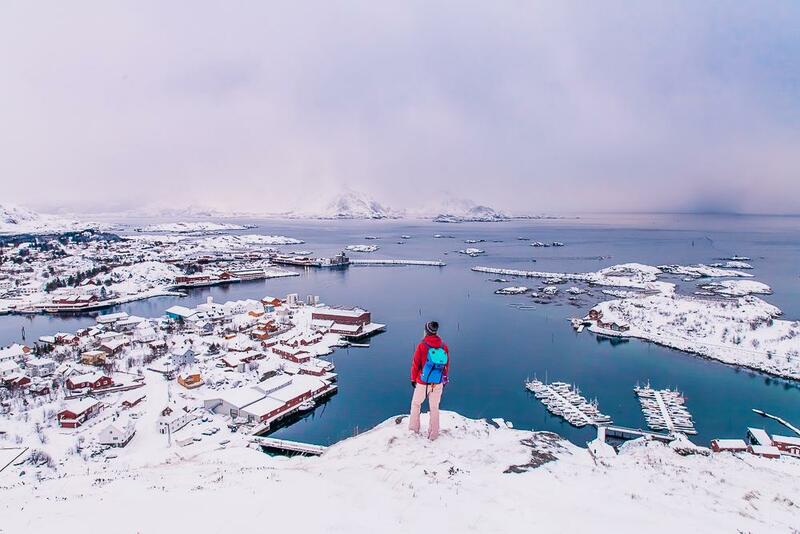 But by visiting from mid-February to late March you can still experience winter in Lofoten while avoiding the short/nonexistent days of the polar winter. I asked a friend who grew up in Lofoten what other times of year she’d recommend visiting, and she said mid to late August is really nice, because the summer crowds from July are gone, the nights are dark enough for a chance to see the Northern Lights, and the weather still feels like summer and is warm enough for camping. June is also a nice time to visit, as after a long winter you can finally go hiking again in the mountains (there might be some snow left though), it’s warm enough to camp in a tent, and if you come early enough the summer crowds won’t have arrived yet. In June you can also experience the midnight sun – though be aware that this can mess with your internal clock (in a fun way!) and you won’t be seeing any starry night skies. If you do come in the summer, you may like this tour or this photography tour. I’m a big fan of traveling in the low season, but I guess there are some pretty good arguments against visiting Lofoten during some months. I actually had wanted to visit Lofoten last September but was yet again met with silent head shakes from my Norwegian friends. Apparently, the weather from September to November is really, really rainy. Still, I’ve seen some amazing photos of the Lofoten Islands decked out in autumn colors, so I’m tempted to make an autumn trip up there and brave the rain. And of course, December to mid-February is going to be really dark, which makes it difficult to explore the islands. Though the light during December and January is SO beautiful. The sun doesn’t rise, but instead the sky stays pink like a sunrise/sunset all day long. I’ve visited Lofoten in December and January, and while I had less time to explore with daylight, I did love how quiet the islands were and I even got to see the Northern Lights! 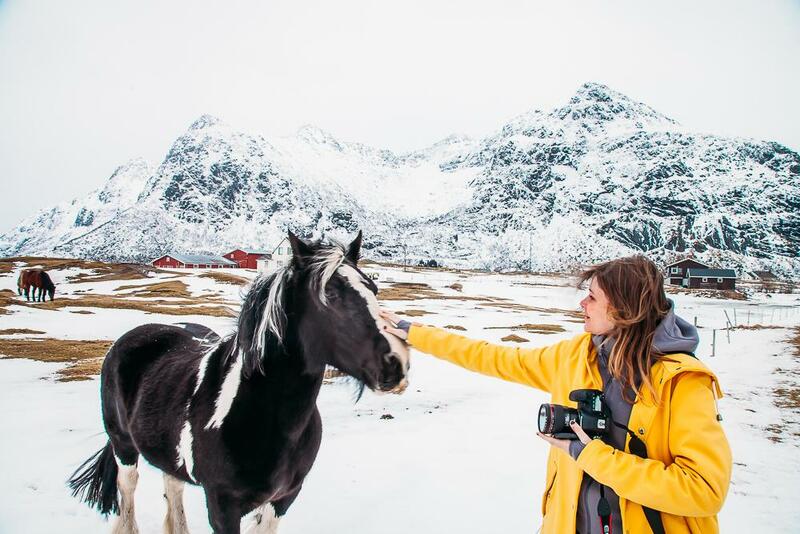 Speaking of which, if you do visit Lofoten to see the Northern Lights, I’d recommend this tour with a photographer who knows where to get to clear skies, or you could even go horseback riding under the Northern Lights like I did in December. 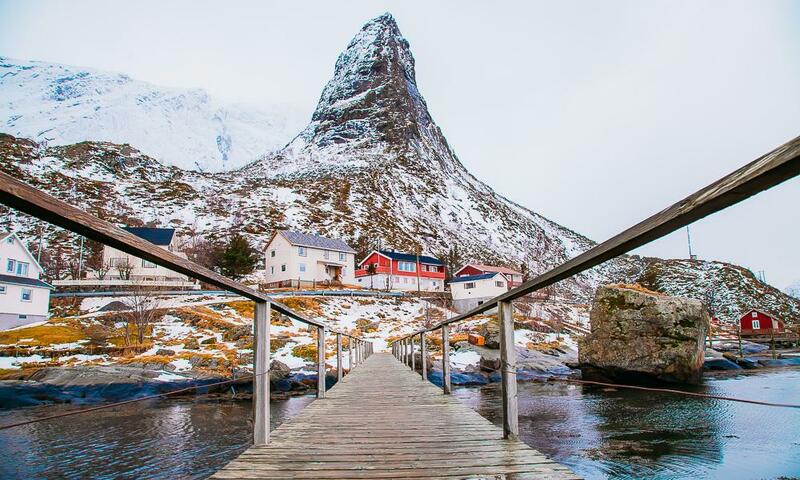 However, Lofoten has pretty unpredictable coastal weather, so make sure you pack in a lot of other fun activities so you aren’t disappointed if you don’t see them. 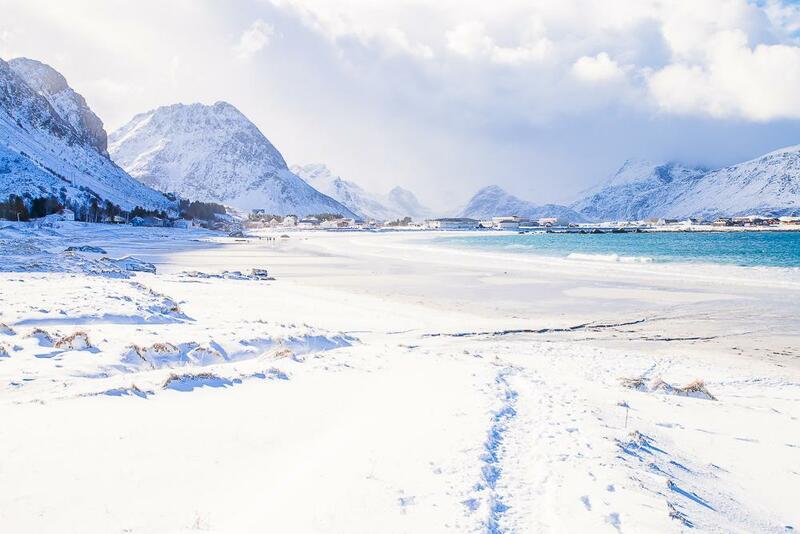 I also haven’t heard great things about Lofoten in April and May, as it’s still too snowy and cold for a lot of outdoor activities, but no longer snowy enough to be a winter wonderland. 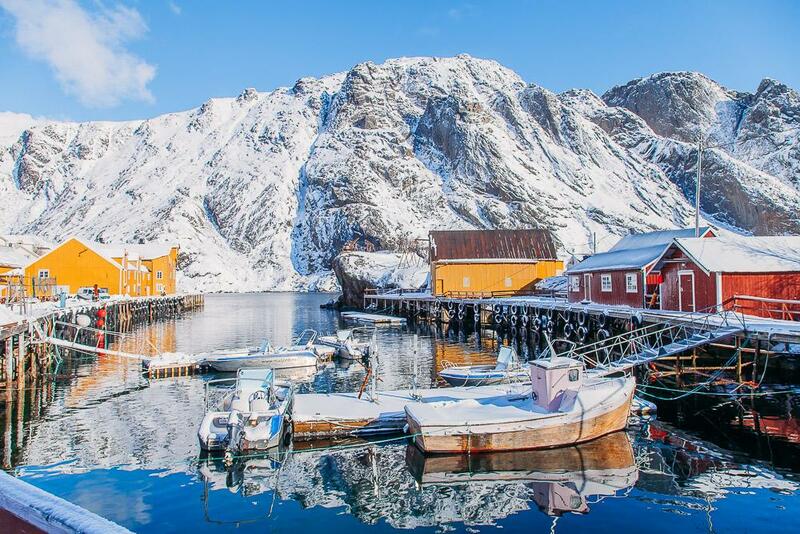 Though again, that might just mean you’ll see fewer tourists on Lofoten then! 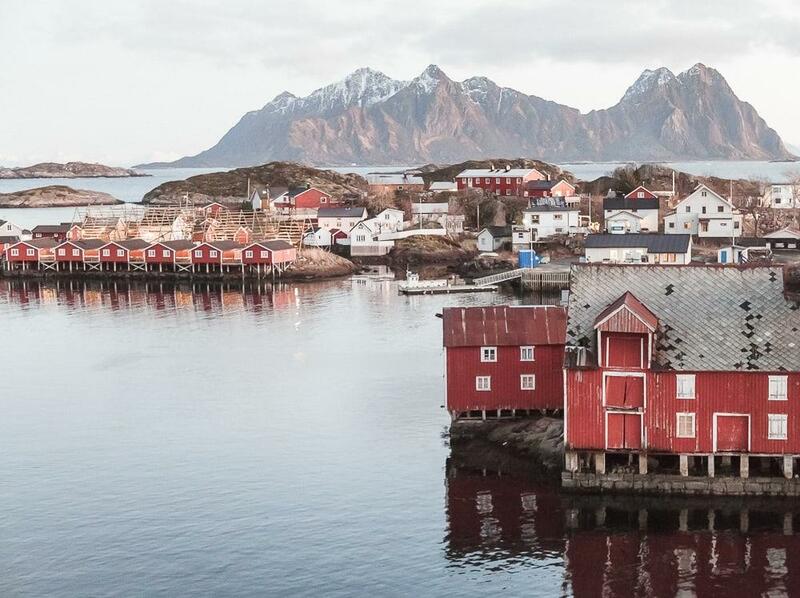 And while July is sort of the perfect time of year to visit Lofoten, it’s also kind of becoming the worst as the islands are becoming popular. I mean, very, very, very popular. But if you aren’t afraid of crowds and can book your accommodation waaaay in advance (seriously, I’ve even heard that it’s hard to camp in July because there are so many people!) then July in Lofoten is probably pretty magical. 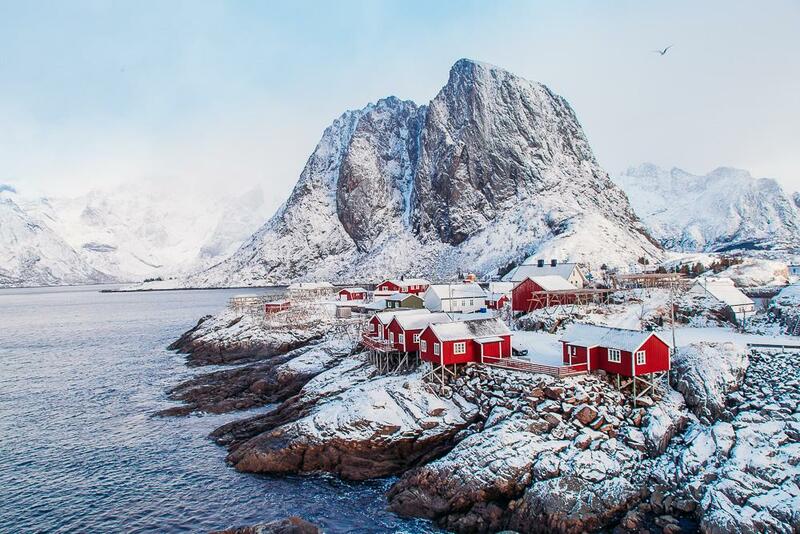 I would say in Lofoten it’s best to find accommodation with a kitchen, especially in the winter when many restaurants are closed for the season. If you have a while on the islands I would also mix it up a bit, so you can explore different areas of Lofoten. 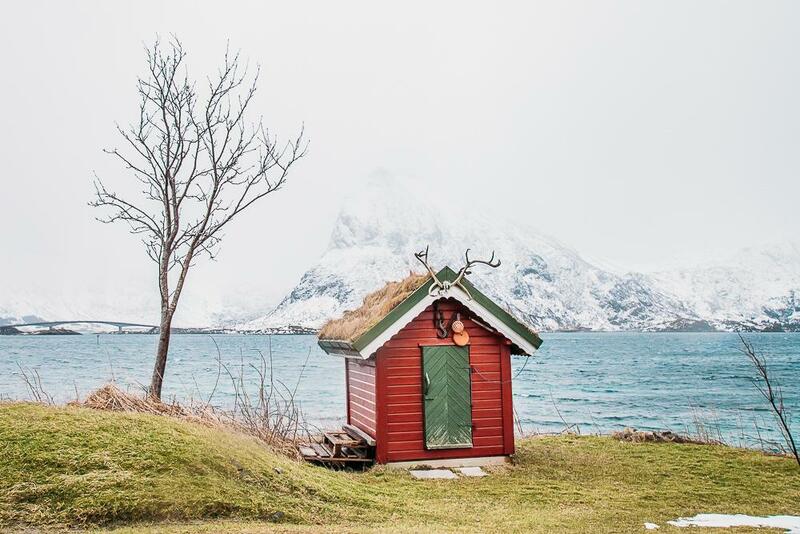 The best place I’ve stayed on Lofoten has to be Svinøya Rorbuer in Svolvær, which are original old fishing cabins that have their own kitchens. There’s just so much character here, and Svolvær is a good base from which to explore the islands. Check current rates and availability here. 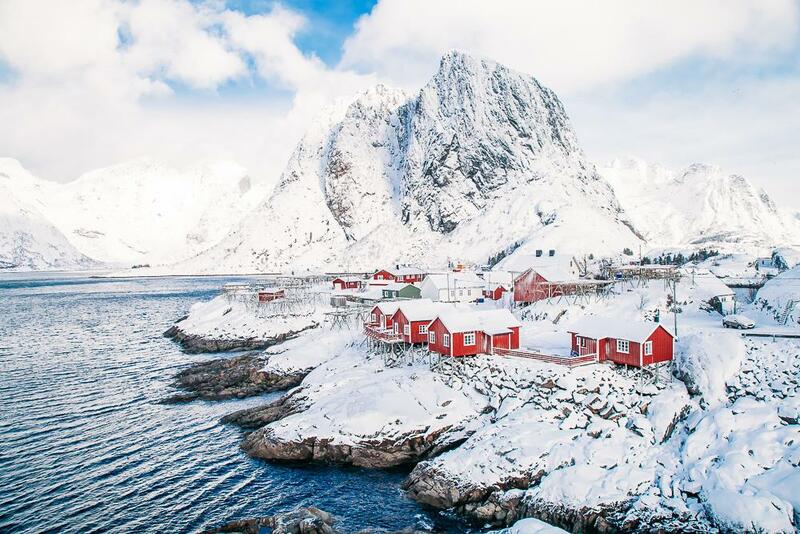 When I visited Lofoten in March my friends and I spent our first three nights near Reine on Hamnøy, which is arguably the most photogenic place in Lofoten. 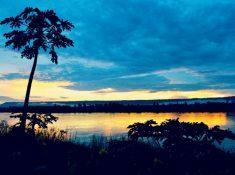 At least I’m pretty sure it’s the most famous – have you seen this view before? 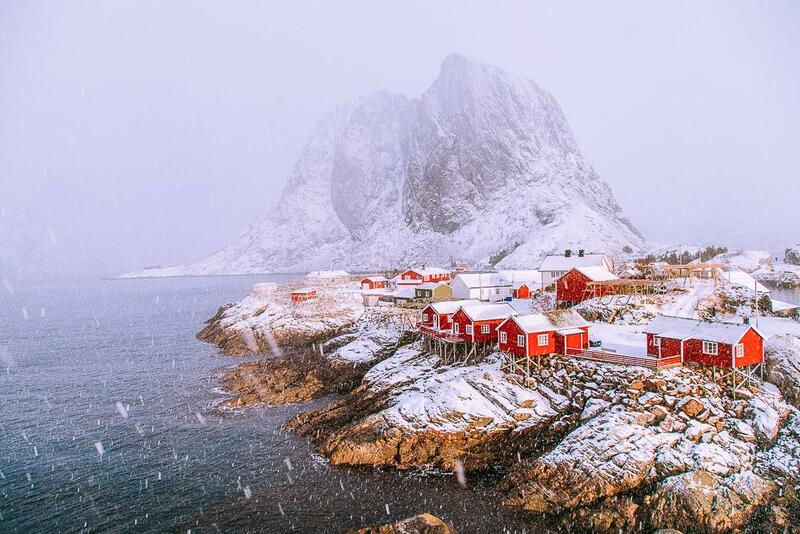 Have I already mentioned that the weather in Lofoten changes a lot? We then spent our last three nights farther north in Ballstad at Hattvika Lodge. Hattvika Lodge only opened this past summer, but they’re already nearly booked out for the next year (so if you want to visit, book quickly!). Our apartment here was split onto two floors and definitely more luxurious than our cabin in Reine. Ballstad is also a bit less touristy than Reine, so it was nice to explore a quieter area of the islands. But the best part about staying at Hattvika Lodge was its amazing owners. 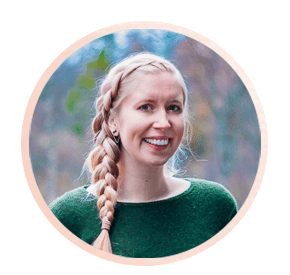 They are so enthusiastic about Lofoten and were overflowing with tips for us on where to go for the best views and activities, and they definitely made me eager to return to Lofoten in the summer for more hiking opportunities. 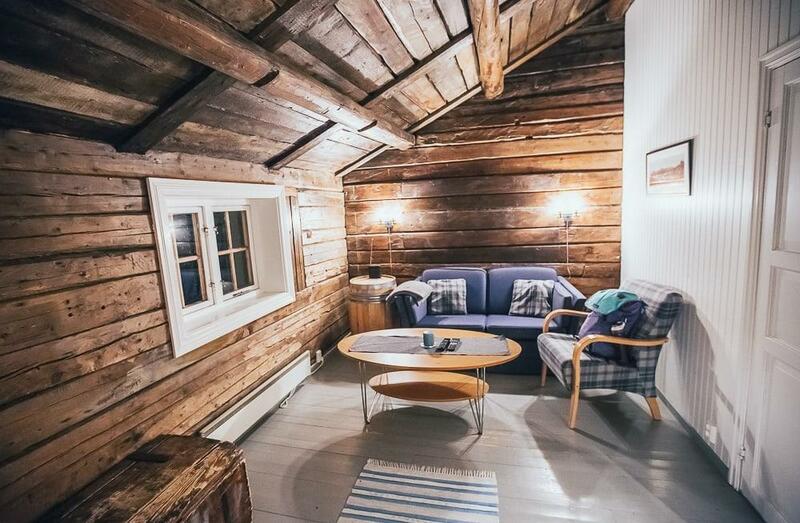 I also recommend checking out options on Airbnb, like this centrally located apartment, this cozy cabin, or a room in this home only 50 meters from the ocean. 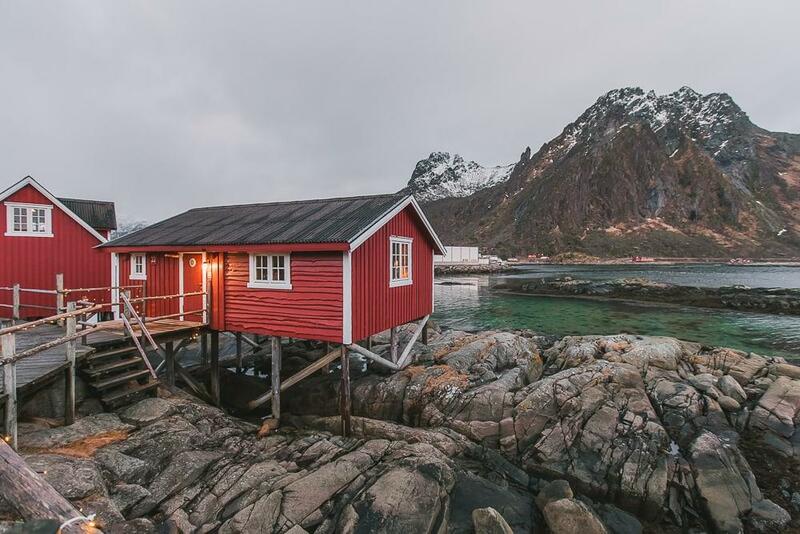 Or if you’ll be heading to Vesterålen as well, one of my all time favorite Airbnbs in Norway is this amazing cabin in Langvassvatn, which is perfectly situated for day trips around both Vesterålen and Lofoten. And if this is your first time using Airbnb you can get a discount by signing up here. 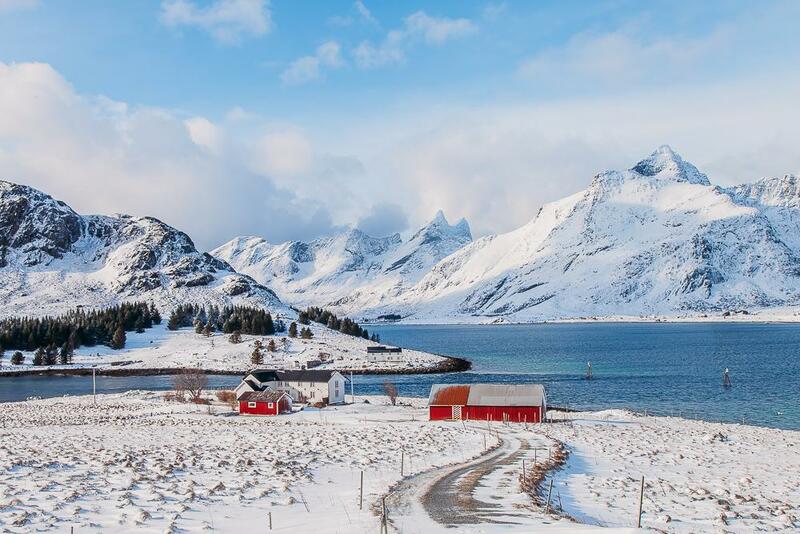 And now the most important part: where you should go in Lofoten! Um, sorry to be annoying, but I actually think that the perfect Lofoten road trip itinerary is no itinerary. Or at least a very flexible one! A good starting place is to take a look at which tours or activities you’d like to do on the islands, and then work your schedule around that. 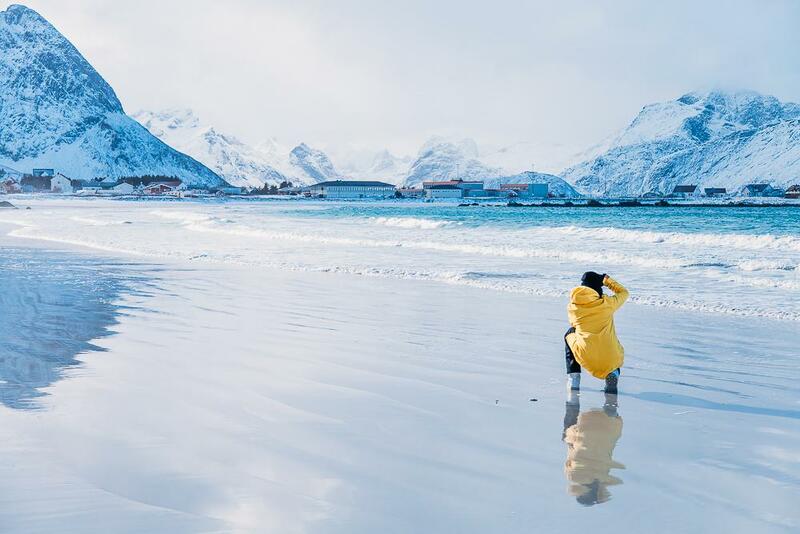 You can find some great adventure activities on Lofoten here, as well as some more tours and activities here. 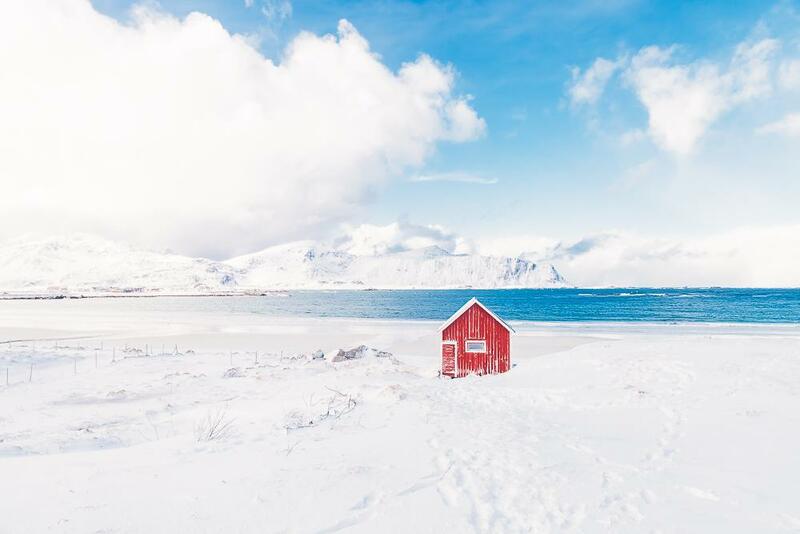 I had originally planned on tracking our exact route to share with you guys, but once there I realized that the best part about driving around Lofoten is taking random little roads, not knowing where they’ll take you, and chasing any fleeting patches of blue sky or sunlight (we spent a lot of time trying to chase blue sky and escape snowstorms!). Though that said, I will share a few of my favorite spots, in case you want to track them down on your Lofoten road trip too. A fun thing about traveling with three photographers (check out Lisa, Teru, and Marti on Instagram) was their dedication to finding the most beautiful lookout points. I’m usually the person secretly wanting to stop every two minutes to take a photo but not actually doing so because I don’t want to annoy my travel companions, so it was pretty cool not only to stop at all the pretty spots (which in Lofoten is basically every 10 meters) but also to actively track down the gorgeous Lofoten views we had come across on Instagram. And yes, I was totally intimidated shooting with them, and no, I’m not really sure why they invited me along on this trip. But I’m so glad they did because we all had so much fun together! Now I’m just crossing my fingers that they didn’t secretly hate me and that we’ll travel somewhere together again someday. If you don’t have some random photographer friends to road trip with, you can always check out this tour. If you want, you can even go surfing yourself here! 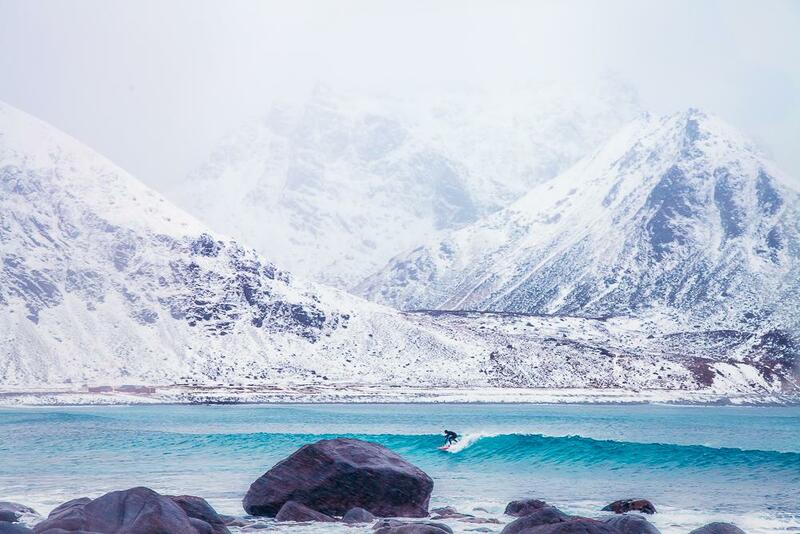 This Arctic surfing lesson is even appropriate for beginner surfers, and how cool will it be to say that you’ve been surfing in the Arctic?! 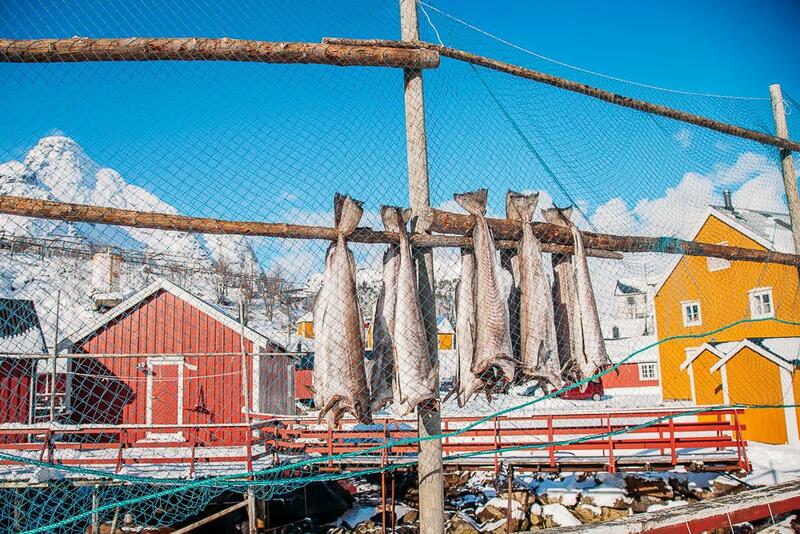 And finally, not to be a total mom, but can I just say a few things about safety in Lofoten? 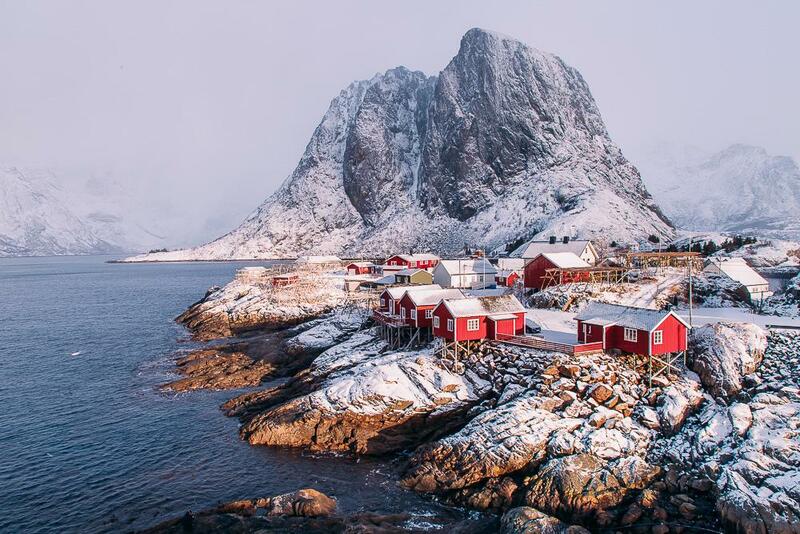 The villages on these islands are small and tourism has kind of exploded in Lofoten in the past few years, so it’s not exactly set up for tons of people. Some of the roads are narrow and windy, a lot of parking lots are quite small, and locals still aren’t totally used to people setting up tripods on their front yards. Just be aware that this isn’t a tourist park but in fact a small community. So like, don’t stop your car in the middle of the road to take photos or park on someone’s lawn if a parking lot is full. And drive carefully in the winter, when the roads can be treacherous (especially when they’re covered in slush!). Hi! great pics. Did you happen to check out Leknes? assessing whether it’s a good base other than Svolvaer. thanks! 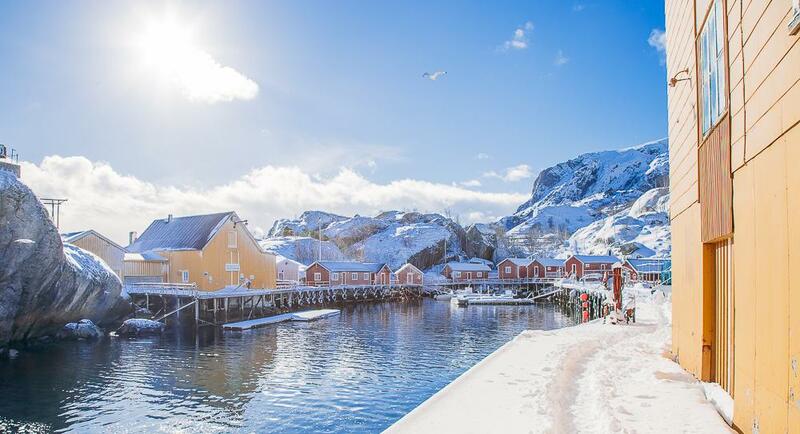 It looks magnificent, but it is not really clear for me when you visited Lofoten? I was planning to go there in three weeks, looking for aurora and winter landscapes, I know there is not a lot of light in that period, but I am sure there will be enough to visit. This was at the end of March. There’s actually quite a bit of light in February, so I think that will be a great time to visit! (I was just there in December and even during the darkest time of year there’s enough light to see things). I am absolutely amazed by the pictures here. My wife and I are planning to visit Lofoten in the last week of February 2019 on our honeymoon. I can drive a car but I do not have experience in driving in winter. Do you recommend renting a car? If yes, what precautions should I take? If no, then what are the other modes of getting around the island? We are planning to stay there for 3 days and 4 nights. 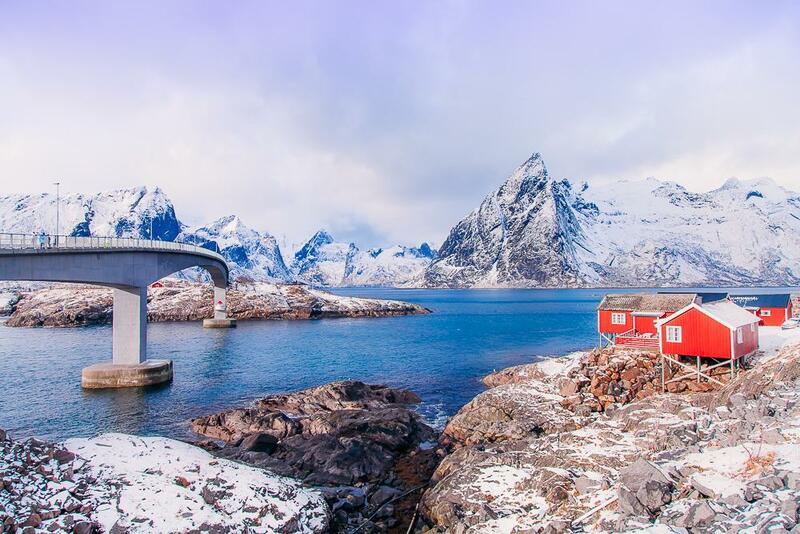 You should definitely rent a car unless you want to hitchhike – public transport is very limited on Lofoten. Just drive slowly and never brake suddenly and you should be totally fine. Oh and if you’re parked in the snow ease out of the space very slowly so that the wheels don’t spin into the snow. My boyfriend and I are thinking to make a travel to Lofoten and we loved your blog and pictures! 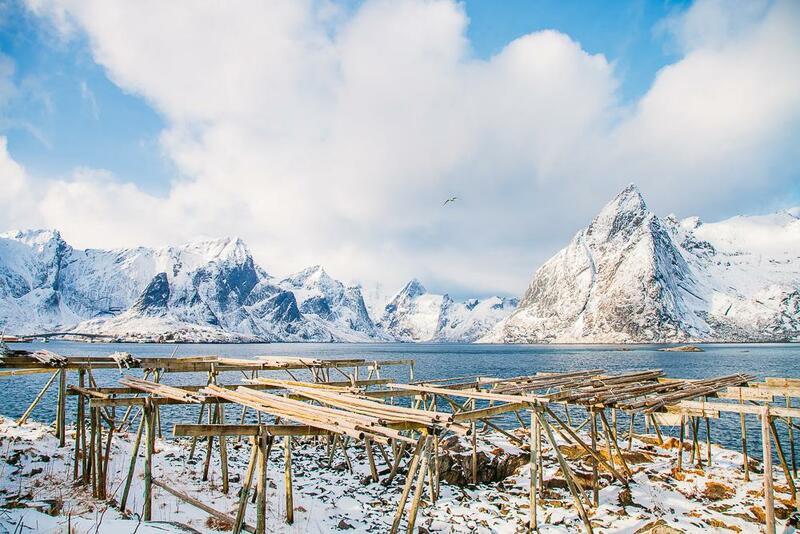 Thank you very much for sharing useful information about Lofoten! 1. You said that May might not be a good season since there’s too much snow. So how come mid-February works?? 2. What would you say is the minimum stay there? 1 week? 3. Were the roads slippery? 4. How cold was it? May is a bit of an in between time because it’s there’s not enough snow for winter activities, but possibly too much to go hiking. Whereas February is nice and snow, plus you have a chance to see the northern lights. One week would be great on Lofoten, I would say minimum is two nights. Some roads were slippery, but if you drive slowly you should be okay. I think it was around zero degrees when I was there in March. Hey! I’m heading to Lofoten in September, and I want to do a road trip. I clicked the links to the Sixt rental sight but the prices are waaaay up from when you posted this I guess. I was getting $150/day at the cheapest. 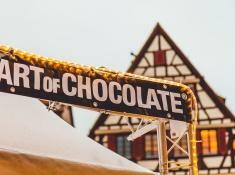 Do you think there is another cheaper option? Hm you could try rentalcars.com or hertz.com, though it might just mean that all the cheaper cars are booked, as September is still high season.